It has been about five years since I left my office job to make photos on a full-time basis. Still, I feel quite uncomfortable calling myself a photographer. Yes, my photos occasionally appear on glossy magazines covers; sometimes I see my photos on billboards in the center of the city, but still, am I a real photographer? While this may sound like some sort of psychological disorder, and it definitely is, I find this constant self-analysis and self-questioning much more adequate than the attitude that many of today’s newcomers have. What is that attitude I am talking about? Let’s face it: Not too many folks postpone identifying themselves as photography professionals–actually they do it right from the start. It’s either these people are complete idiots, or they must have some reasons to think so. It really does. After 5-10 years of experience, when your customers really need that 50 megapixels image from your Hasselblad. Otherwise, when I hear people saying that, “this camera makes really awesome photos,” I still want to believe that they are kidding. But unfortunately they are not. And they end up buying a $6.000 camera with a $2.500 lens, shooting everything from dead flies on their worktable to portraits of their friends against a window, which “by artistic pursuit,” come out as bleak silhouettes only because the photographer, hmmm, camera owner has no idea about spot metering and exposure adjustment. Apes and elephants can draw nice pictures if you give them a paintbrush. But would you order something from an ape? With a technical assignment and sketches and stuff? It’s no revelation–photography amateurs sometimes take really great photos. But the problem is they can’t reproduce them because they have no idea how that happened. They cannot unfold all the details and see what is right and what is wrong. As they say–even if you have been driving for 20 years–it’s no problem. You can still become a good driver if you want to. There are men and women out there who strongly believe that their age itself guarantees that they are highly experienced professionals and all the young fools must learn from them. 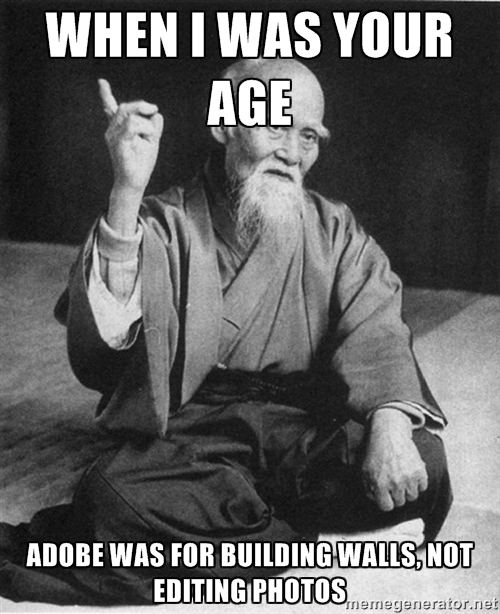 Too bad today’s teenagers are usually ten times more talented. People say nice things if they do not want to offend you, and they say bad things if they want to, regardless of the quality of your work. 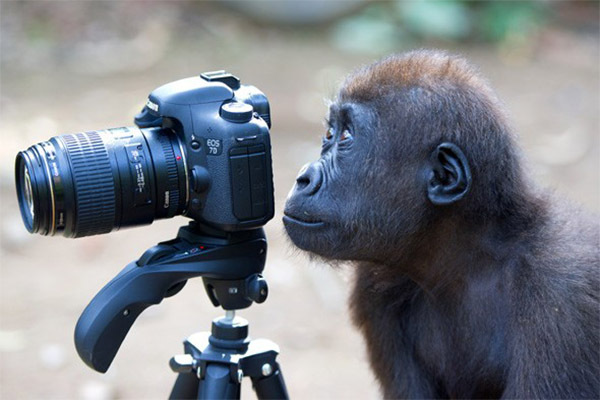 So he buys a top-priced DSLR and starts to post snapshots of his offspring on Facebook. Wow! Our Mike thinks people LOVE my photos. I should not be doing this for free. Professional photographer. Have 2 free days left till the end of the month–contact me for pricing and details! In time, it gets worse. 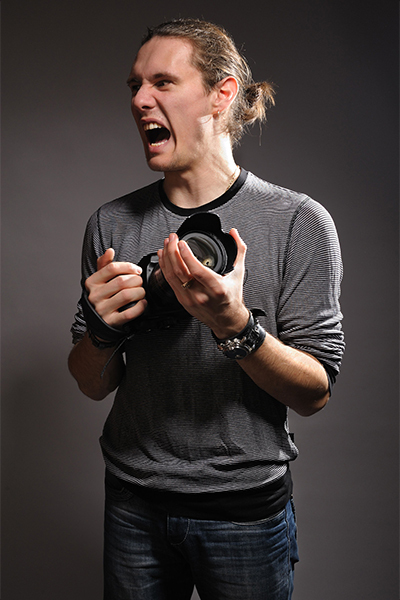 A professional photographer starts to make professional photography projects. With pro models, pro stylists and pro everything. Thank God there are tons of them on Modelmayhem. Let’s make something unique, our Mike thinks. I want motion, I want emotion, I want expression and obsession! Yeah baby, let’s make it dirty! Yeaargh! Well this is how all the Vogue and Vanity Fair photo shoots are made, right? And finally, they start this arrogant and vanguard photo shoot. The model is showered with water, she plays hard, she screams, she slouches, she tears her t-shirt with an evil grin–she’s a real rock ‘n’ roll baby! The makeup is impudent, her pantyhose is all torn and she smokes and exhales into the camera. But somehow, you can see that the lighting is awkward, water drops are indistinct and blurred and the backdrop is all dirty with footprints. The newbie model is trying hard to show that she is not shy, and you can see that her emotions are fake to say the least. And there was no stylist on the shoot because the model said she can do it all by herself. So the mascara is all over her cheeks, and the color of eye shadow does not correspond to anything in the frame. And the photos are all black-and-white because decent color correction is for losers! “Wow, this is amazing, Mike! This MUST be on a magazine cover!” a random friend comments. Mike replies with an enigmatic, winking smiley ;). Well, he has probably already got a contract with Vogue, but he won’t disclose any information because it’s a serious business, you know. Unfortunately, this article is based on real events and personalities, maybe with a little exaggeration. And what about you? Do you have the urge to spit in my face after reading this? Hopefully you don’t know my home address, so your feedback in the comments section is welcome!